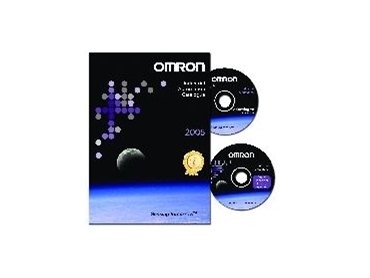 Omron’s latest Industrial Automation Product catalogue for 2005. OMRON Electronics has released its latest revision of its main Industrial Automation Product catalogue for 2005. With over 450 pages in hard-copy, covering 22 different products groups, users are bound find whatever industrial hardware they are looking for. The 2005 edition is structurally similar to it predecessors, but a significant amount of information has been updated as products have developed. All superseded products have been removed and replaced by equivalents. The cross-referencing chapter has been updated with these product changes. The catalogue has been designed to provide limited information for each product, but still sufficient for users. However, full data sheets for all products are available in soft-copy on the eCatalogue CD, which resides inside the front cover of the catalogue. The information on the CD is easy to find, as the format is the same as the hard-copy version. The Digital Technical Library CD has also been included in the front of the catalogue. This contains the complete list of operation style manuals for Omron's higher-end control products. The concept of the catalogue has gained wide spread approval from all users, who come from a wide range of different industries and therefore have vastly different requirements. This has also prevented the catalogue from becoming unwieldy. The catalogue (with CDs included) is available for no charge from an Omron stockist.